It had to be a train. The name of Victor Wainwright's new band and the cover picture of their debut album is probably the most fitting metaphor ever. In the history of music, a train evokes associations with the very early blues musicians who roamed the country in freight trains. But the latest project of this restless boogie-woogie rocker, who is always making fun of things, is more like a locomotive that pushes on and on, overcoming genre boundaries, stirring up new sound and clattering past its skeptics. As the bandleader himself sings in the title song carried by the piano sound: "If you wanna boogie get aboard this train/Get yourself a ticket or get out of the way... “. At the height of his career, when most other artists are resting on their laurels for a while, Victor Wainwright & The Train roll up their sleeves again instead. These twelve songs, all written by Wainwright, boldly expand the concept of roots music and make anyone who is only used to the sterile music industry pay attention. "I mainly wanted to write the new songs myself," he explains, "just as it comes to my mind. I believe that if we want roots music to evolve, we need to reach a new audience." The result is an album that performs a balancing act between respect for tradition and anarchic disrespect. You'll hear Wainwright mixing boogie-woogie tradition with pub hits like "Healing" and "Boogie Depression", both of which are determined by his soulful piano playing. But you'll also hear how he fearlessly explores the whole spectrum of the genre - from Latin American influences and New Orleans' wind instruments in "Wiltshire Grave" to the gentle, almost psychedelic "Sunshine". It's a musical cocktail served by Wainwright's inimitable voice. His lyrics can be hilarious as in "I'll Start Tomorrow", in which he postpones his doctor's recommendation to live healthier until later. But it also goes deeper, as the gospel-coloured "That's Love To Me" running pass proves. "I tried to write songs that remind us to love ourselves," he explains. "It doesn't matter who you have chosen, what religion you belong to or whom you love...". During this exciting ride, only The Train manages to keep the songs on the track. "I got a killer band of fantastic musicians together," recalls Wainwright. "You share my curiosity for all areas of roots music. We wanted to somehow capture the feeling we get when we play together and I think we did. And so I try to go on now." In truth, Wainwright has always been an artist who sets the pace. Raised in a musical family in Savannah, Georgia, he was influenced by his father's singing and the boogie-woogie music his grandfather played on the piano, which drove him into a life of music. 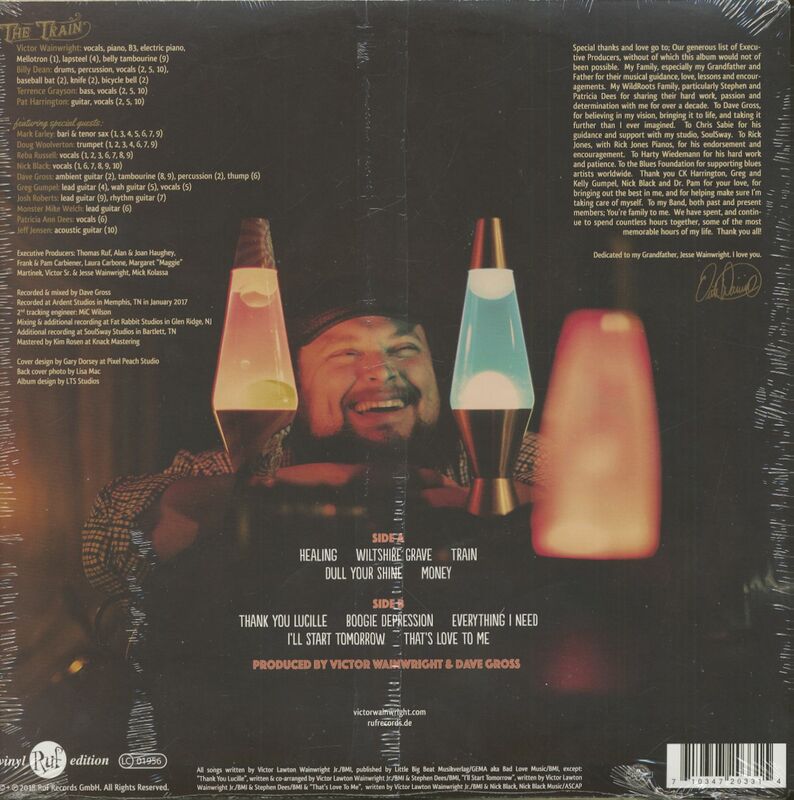 After shaking the stages and speakers of Southern Hospitality and his collaboration with Stephen Dees on WildRoots for over a decade, he finally proved his talent in 2005 with the release of his first solo album. "Looking back on his career is really not easy," says Wainwright. "There are many challenges. But if you manage it, it can also enrich you extremely." A man of many talents, Wainwright is a composer, producer, singer, pianist and award-winning entertainer. As the leader of the boogie-woogie squad for many years, he has won the Blues Music Awards and the Blues Blast Awards as well as a repertoire that repeatedly made it into the Billboard Top 10. But instead of reminiscing, Wainwright would rather take you on the next journey. "Of course, there are also songs on this album that should just go right, like "The Train"," he says with a laugh. 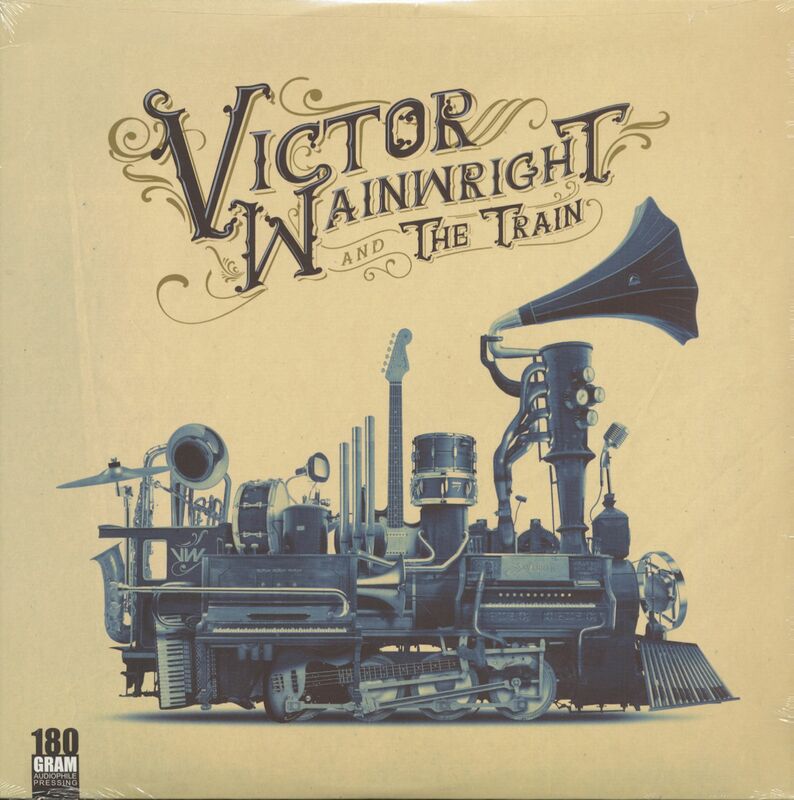 "But when you listen to the lyrics, you understand that all I really mean is that you should get on the train..."
Customer evaluation for "Victor Wainwright And The Train (LP, 180g Vinyl)"